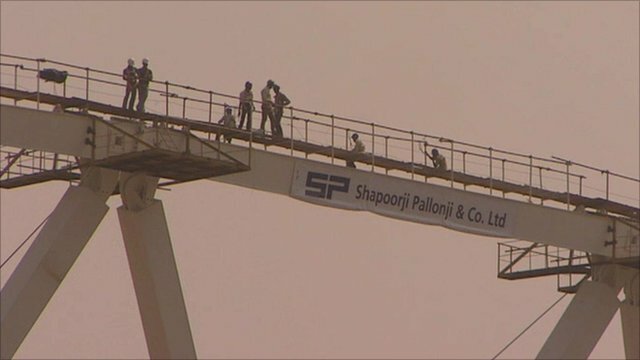 Corruption allegations over Games Jump to media player As officials race against time to get stadia and other facilities ready in Delhi for the Commonwealth Games, Shilpa Kannan takes a look at the allegations of mismanagement and corruption and the people affected. Rains hamper Delhi games construction Jump to media player Monsoon rains are seriously hampering the building work for the venues for the Commonwealth Games in Delhi. India's illegal betting syndicates Jump to media player The role of the gambling syndicates that can make millions from the outcome of a single game has been highlighted by the allegation that three Pakistani cricket players were involved in a betting scam. There is just a month left till the biggest sporting event India has ever hosted. Some 71 nations will take part in the Commonwealth Games, which India is hosting for the first time. However, preparations have been overshadowed by claims of corruption and building delays. As officials race against time to get stadia and other facilities ready, Shilpa Kannan takes a look at the allegations of mismanagement and corruption and the people affected.